Judy Wells has been active in preserving and promoting womens' rights issues for many years, beginning as a graduate student at the University of California Berkeley, when she was among a group of women in the 1970s insisting on the creation of a Women's Studies Department. Judy Wells was an active member of the Comparative Literature Women’s Caucus, founded by grad student Marsha Hudson, at U.C. Berkeley in 1969. Originally an off-campus feminist literary salon, Hudson established the group on campus to discuss women’s literature since female writers were largely ignored in the classroom. The Caucus soon spawned various groups: politicos who researched sexism within the department, wrote letters, negotiated with the administration, and founded a Women’s Studies major; translators who created the first groundbreaking anthologies of women’s poetry and got them published by prestigious literary houses; instructors who proposed and taught women’s literature courses and wrote feminist dissertations. Some 30 years later in 1999, several of the original Comp Lit women reunited in Berkeley at Bridget Connelly’s house and a new project was born: to write a history of those early feminist years, a collection of personal memoirs. Five women, including Wells, volunteered to lead the project: the others were Marsha Hudson, Bridget Connelly, Doris Earnshaw, and Olivia Eielson. 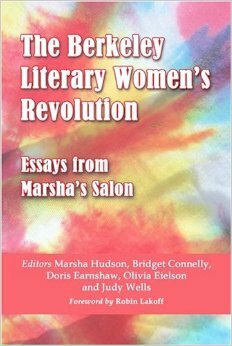 The Berkeley Literary Women’s Revolution: Essays from Marsha’s Salon is the product of another five years of collective work. Published by McFarland in 2005, these 17 essays recount the atmosphere of the time, the upheaval brought about by the feminist revolution in education, the direction that the movement took, and the current state of feminist learning. Try getting a job with that dissertation title in 1976! 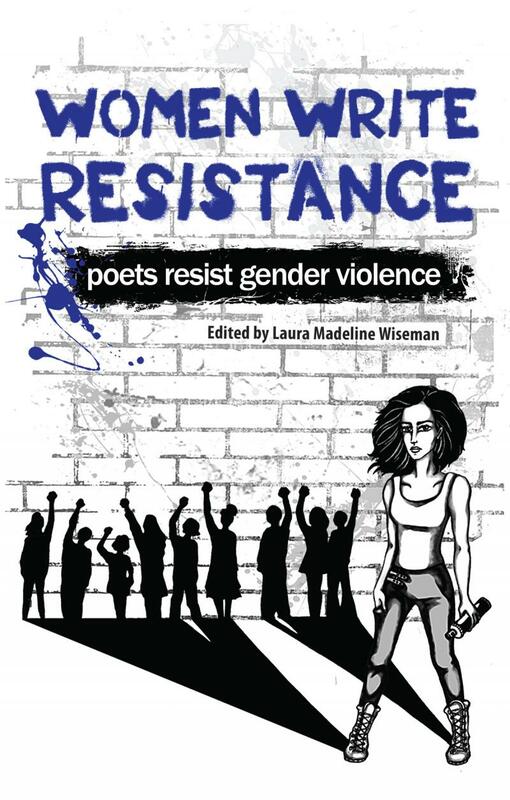 Women Write Resistance: Poets Resist Gender Violence, edited by Laura Madeline Wiseman. Some of the poets included in this anthology are: Ellen Bass, Gail Entrekin, Rebecca Foust, Judy Grahn, Judy Juanita, Ellaraine Lockie, Alison Luterman, Dawn McGuire, Linda McCarriston, Claire Ortalda, Alicia Ostriker, Hilda Raz, Judy Wells and Andrena Zawinski. 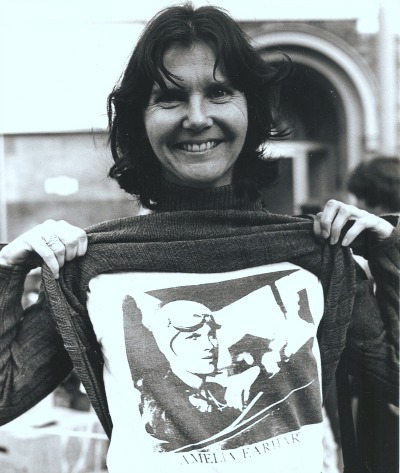 Judy Wells as feminist in late 1970s. 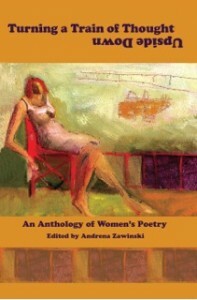 Turning a Train of Thought Upside Down: An Anthology of Women's Poetry, edited by Andrena Zawinski.